Over the past decade or so, a lot of us have been led to believe that certain indulgences—such as a glass of Pinot noir or a piece of dark chocolate—can actually be health-promoting. 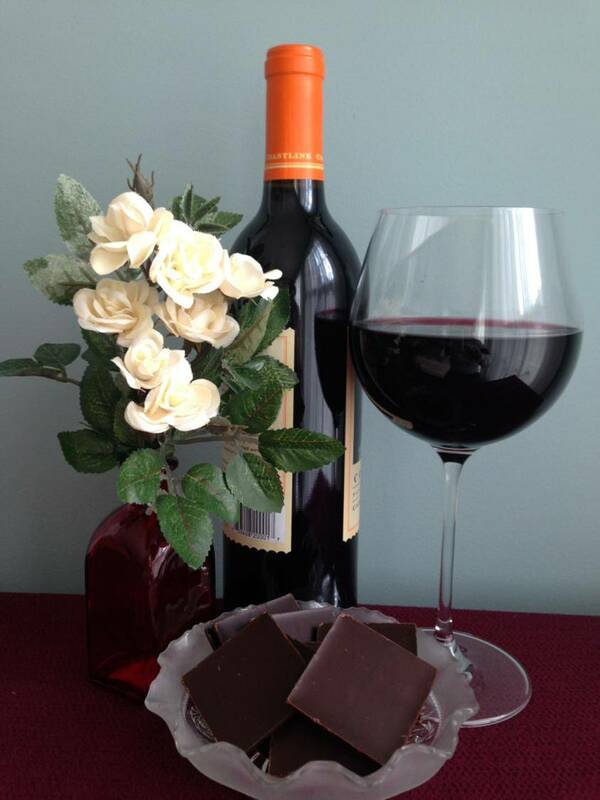 That’s because a number of studies had suggested that red wine, chocolate, and other foods containing the antioxidant resveratrol might lower the risk of heart disease, cancer, and other age-related maladies. But now comes word that a diet rich in resveratrol may not automatically translate into better health. In a prospective study of nearly 800 people living in Italy, a team from Johns Hopkins University School of Medicine in Baltimore and NIH’s National Institute on Aging (NIA) found no significant differences in heart disease, cancer, or longevity between those who consumed a diet high in resveratrol and those who consumed very little . Science’s fascination with resveratrol dates back to the early 1990’s, when researchers reported this paradox: the French eat a diet rich in butter, cheese, pork, and other foods high in saturated fat and cholesterol, yet they have relatively low levels of coronary heart disease. Why? It was hypothesized that the cardiovascular protection might have to do with something else the French love: red wine. A powerful antioxidant, called resveratrol, was eventually isolated from red wine, as well as cocoa, red grapes, and a variety of other berries and roots. After that, a steady stream of studies in cells and various animal models showed that resveratrol reduced inflammation and seemed to protect against the unhealthy effects of a high-fat diet [2,3,4]. For the latest study, researchers examined levels of resveratrol-derived metabolites in urine collected from InCHIANTI participants in 1998 and then frozen for future analysis. Researchers expected that higher levels of resveratrol might be associated with better health. However, they detected no substantial differences in health status (as measured by medical exams and four biomarkers associated with inflammation and disease risk) between people with high or low resveratrol levels. What’s more, researchers found that levels of resveratrol varied widely among the 268 volunteers who died between 1998 and 2009. All told, the researchers say their findings suggest that a diet high in resveratrol did not protect against disease or extend lifespan. More work is needed to determine why resveratrol’s impact on health in the real world doesn’t appear to be as encouraging as results from more controlled settings. One possible explanation is dosage. It’s possible that the doses of resveratrol found in regular foods—a single glass of wine contains about 1mg—are too small to pack a big punch. Some previous human studies involving high-dose resveratrol supplements (250 or 500mg) have shown that the antioxidant lowers blood glucose, LDL cholesterol, and inflammation; however, other studies (including a randomized, double-blind, placebo-controlled trial) using high-dose resveratrol supplements have found few, if any, beneficial effects. In addition, red wine is known to contain more than four dozen compounds similar to resveratrol, so perhaps one or more of those may be responsible for the heart-protective effects seen in the French Paradox. Resveratrol Levels and All-Cause Mortality in Older Community-Dwelling Adults. Semba RD, Ferrucci L, Bartali B, Urpí-Sarda M, Zamora-Ros R, Sun K, Cherubini A, Bandinelli S, Andres-Lacueva C. JAMA Intern Med. 2014 May 12. Resveratrol, an extract of red wine, inhibits lipopolysaccharide induced airway neutrophilia and inflammatory mediators through an NF-kappaB-independent mechanism. Birrell MA, McCluskie K, Wong S, Donnelly LE, Barnes PJ, Belvisi MG. FASEB J. 2005 May;19(7):840-1. Regulation of inflammation and redox signaling by dietary polyphenols. Rahman I, Biswas SK, Kirkham PA. Biochem Pharmacol. 2006 Nov 30;72(11):1439-52. Resveratrol improves health and survival of mice on a high-calorie diet. Baur JA, Pearson KJ, Price NL, Jamieson HA, Lerin C, Kalra A, Prabhu VV, Allard JS, Lopez-Lluch G, Lewis K, Pistell PJ, Poosala S, Becker KG, Boss O, Gwinn D, Wang M, Ramaswamy S, Fishbein KW, Spencer RG, Lakatta EG, Le Couteur D, Shaw RJ, Navas P, Puigserver P, Ingram DK, de Cabo R, Sinclair DA. Nature. 2006 Nov 16;444(7117):337-42. Perhaps the French consume significantly fewer carbohydrates, less sugar, and more whole foods. That would explain the heart-healthy high fat diet paradox.